We are eager to partner with you as you take this time at Carey to explore career options within the Marketing and Real Estate Network. 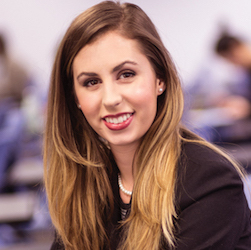 For students interested in pursuing careers in Marketing, Carey Business School graduates find themselves pursuing marketing functions through a variety of industries, such as consulting, media/entertainment, manufacturing, real estate, and more. In addition to identifying and preparing for the skills sets necessary for the job function, you will need to research recruitment timelines of your targeted industry, as they will differ. For students interested in pursuing careers in Real Estate, our graduates hold financial and consulting roles spanning real estate, financial services, and governmental sectors. You will need to research recruitment timelines of your targeted industry, as they will differ; however, traditionally real estate roles tend to recruit in Spring for just-in-time hiring. Use this CDO Roadmap to understand what quick, actionable steps you can take now as you determine which roles within marketing and real estate will be a good match for your skills, interests, and values. We encourage you to start preparing for the search early so as not to miss out on an opportunity—deadlines will vary depending on industry and employer.